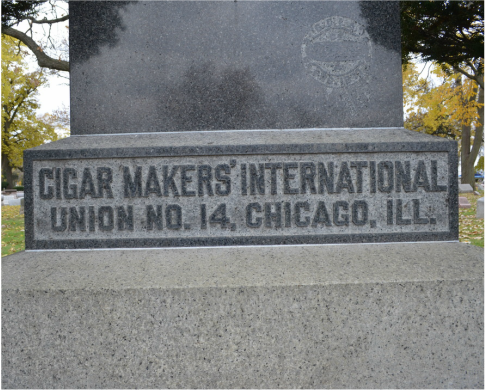 On the North side of the Des Plaines River in Section DL is a large dark grey polished granite monument for the Cigar Makers' International No. 14, Chicago, IL. (CMIU). At some point in the 1980's the intricate bronze plaque in the center of the monument was stolen. Below is approximately what the plaque looked like. 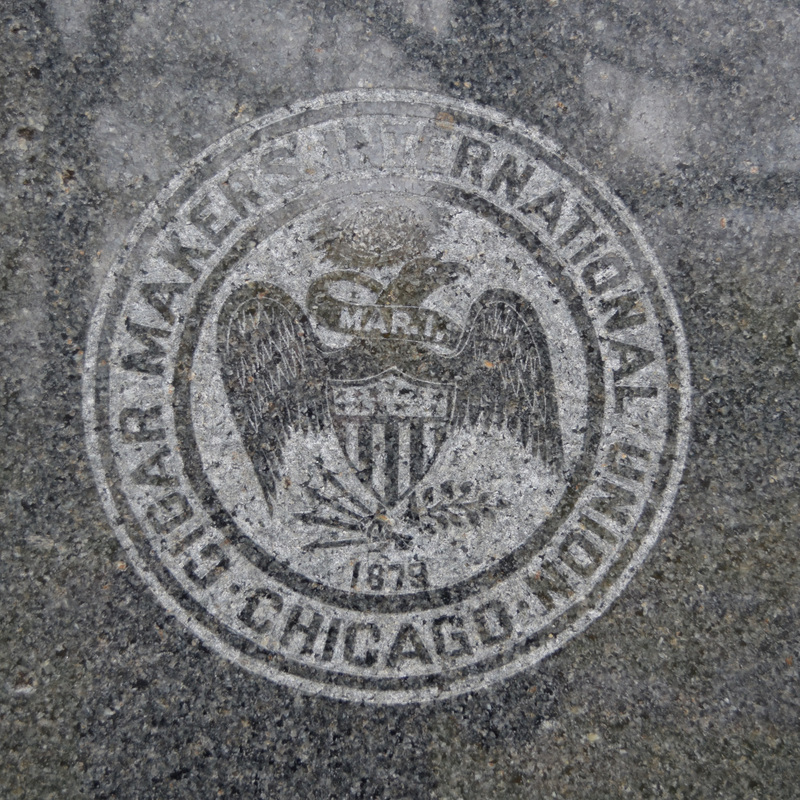 The signature is of George W Perkins (1856 - 1934), president of the cigar makers union. He held that office from 1891 to 1925 or 1926. He is buried at FHC, Area 286 Section 48. He went on to establish the American Federation of Labor (AFL) with Samuel Gompers. 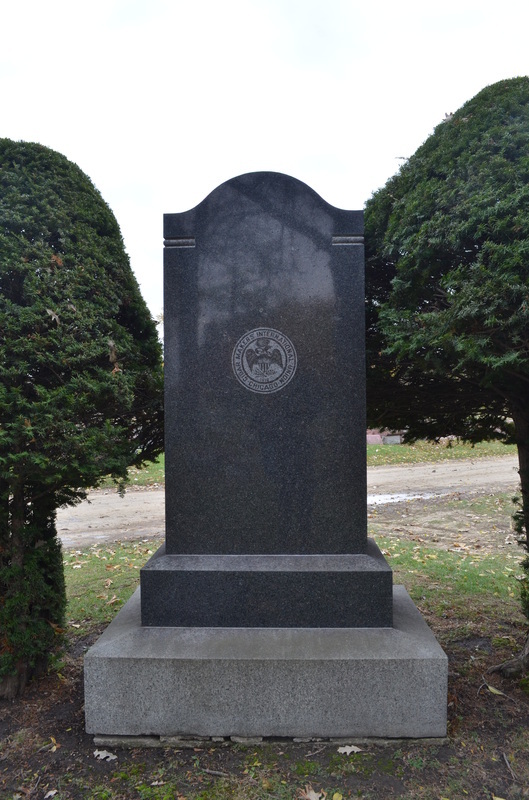 Buried along side the CMIU monument is Adolph Strasser. 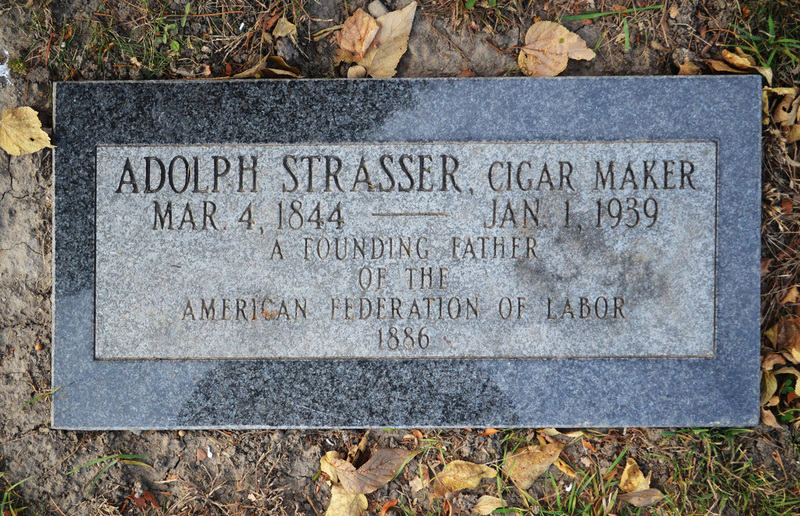 In 1875, Adolph Strasser became the union's financial secretary. 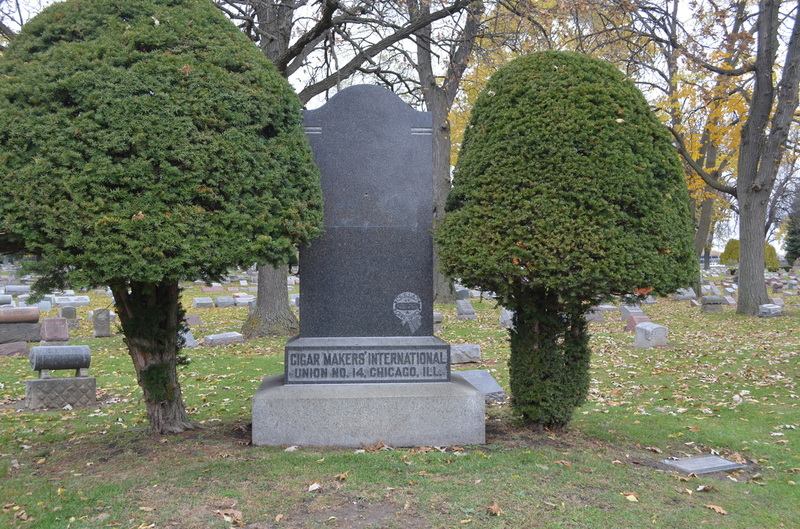 In 1975, Samuel Gompers served as the CMIU president. He introduced the union label to identify a quality product. In 1877, Strasser was elected president of the union and held the position for 15 years. 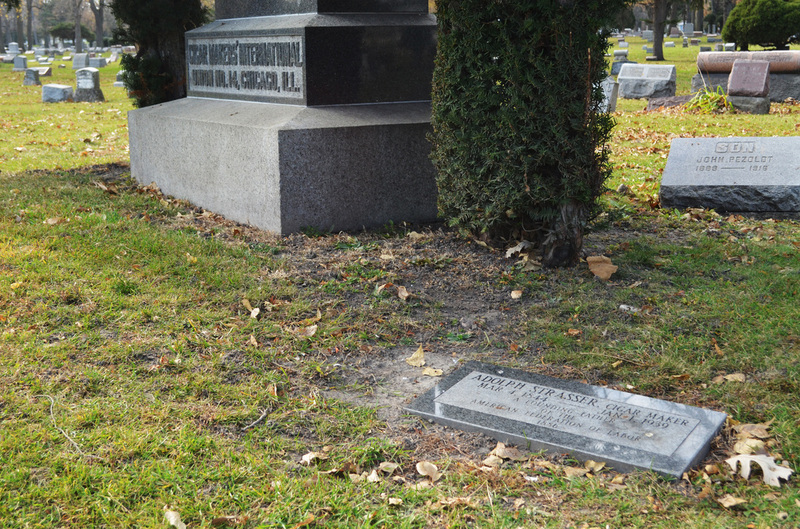 Strasser lived in Chicago from 1918-1929. After his death in 1939 he was buried in a paupers grave in Florida. 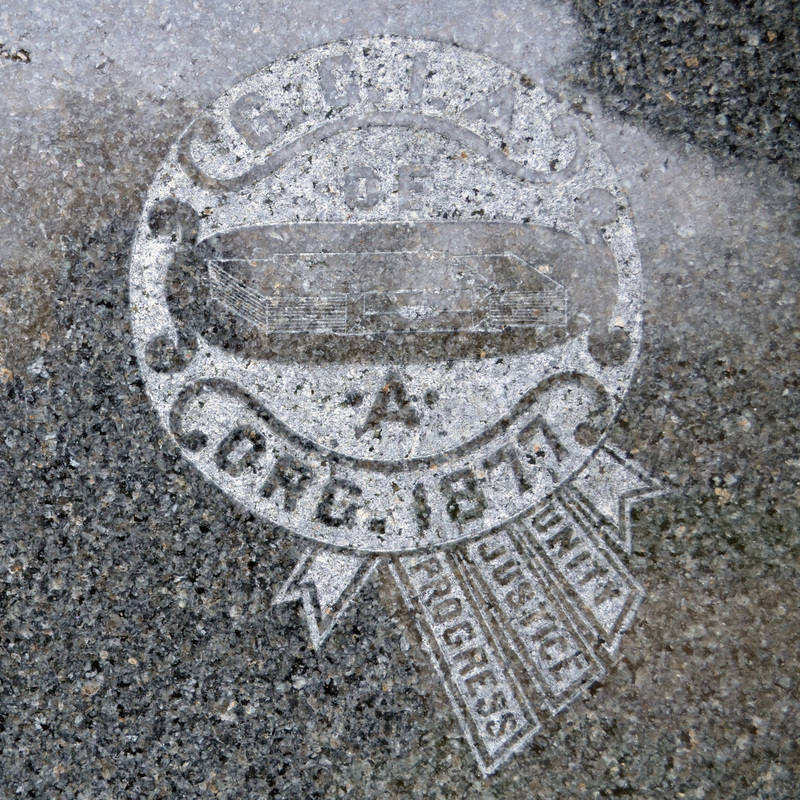 When the union discovered this, a special gravestone was placed by the cigar makers monument in 1986. The union and its members were active in the period of the struggles that effected working people at the time of Haymarket.